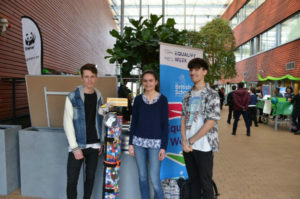 Three IB students at The British School in the Netherlands, have set out to collect 11 million plastic bottle caps, which will help fund the training of guide dogs for a local charity. The Royal Dutch Guide Dog Foundation (KNGF), in the Netherlands, trains guide dogs for the visually impaired or those with a range of disabilities. However, the charity relies solely on donations and volunteers. IB Diploma Programme (DP) student Roxanne and IB Career-Related Programme (CP) students Brandon and Demre collect plastic bottle caps as part of their Creativity, Activity, Service (CAS) project for KNGF. The charity then sells the caps on to be recycled into plastic pellets, which can be sold for a small profit. All the money raised is used to train the dogs. 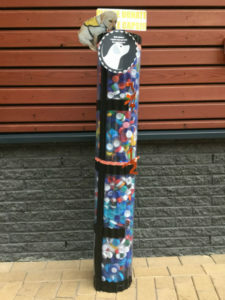 The students discovered that KLM airline flight attendants were collecting bottle caps from bottles consumed during each flight and donating them to the KNFG, and decided to replicate this idea. 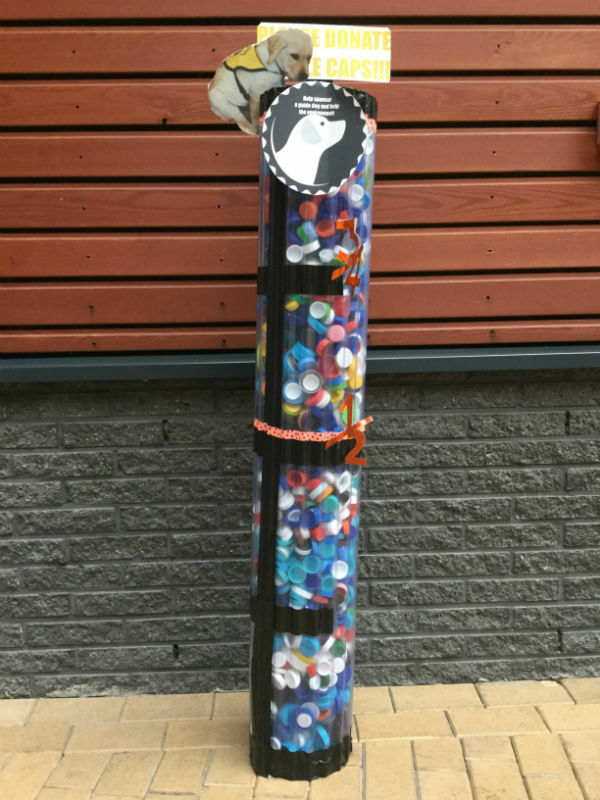 They built and decorated two bottle cap containers and placed them in the atrium and in the student café. Students have also presented at school assemblies to raise awareness of their mission. “This project also helps the environment. Pellets are most commonly made out of wood, so every pellet made out of recycled plastic will help save a tree from being used for that purpose,” adds Roxanne. The bottle-cap collection will continue until the end of this school year. Roxanne is hopeful that another student will continue the mission next year and reach the 11 million target.